For all who want to learn intensive German quickly and intensively. For foreign residents who are not (yet) employed and have already learned another foreign language. Intensive colloquial German training in small participant groups with a similar educational background. You can start a course every Monday. To find out your language level you can do our placement test online. Please fill out our placement test here. Course time 9:45 to 12:00 or 12:45 daily, there are still places available. 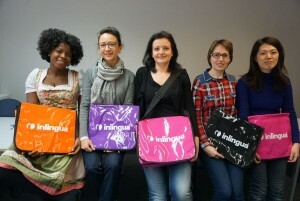 Contact us today 0941 608280 or info@inlingua-regensburg.de. Registration Fee € 29,- (once only), Training material € 32,- to € 49,- per level.